Was it worth the wait? Absolutely. 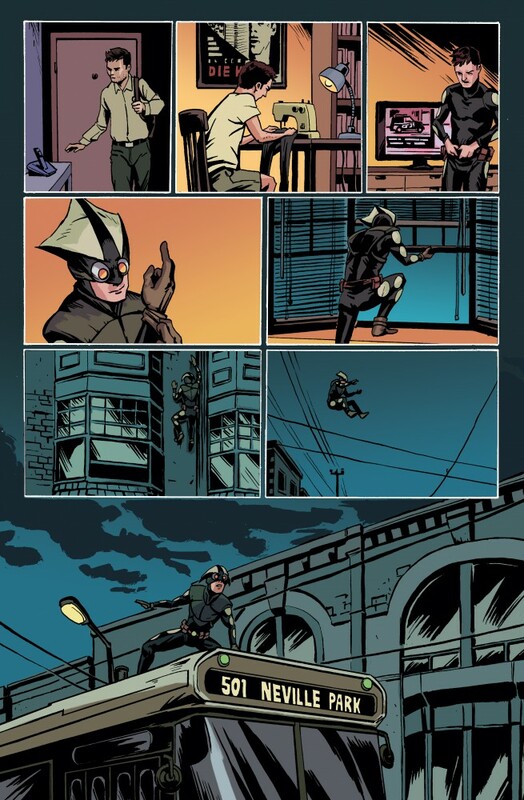 This Toronto superhero story is absolutely hilarious, an everyman loveable loser-type bundle of awesome. The Human Lizard is Lucas Barrett, an office worker who can barely afford to pay for his Brazilian Jiu Jitsu lessons and who covers up his superhero exploits by telling his mother that he’s learning to play the harmonica. He signs up for a clinical trial for a super healing drug and, well, the rest is superhero history… with a pitiful twist, of course. 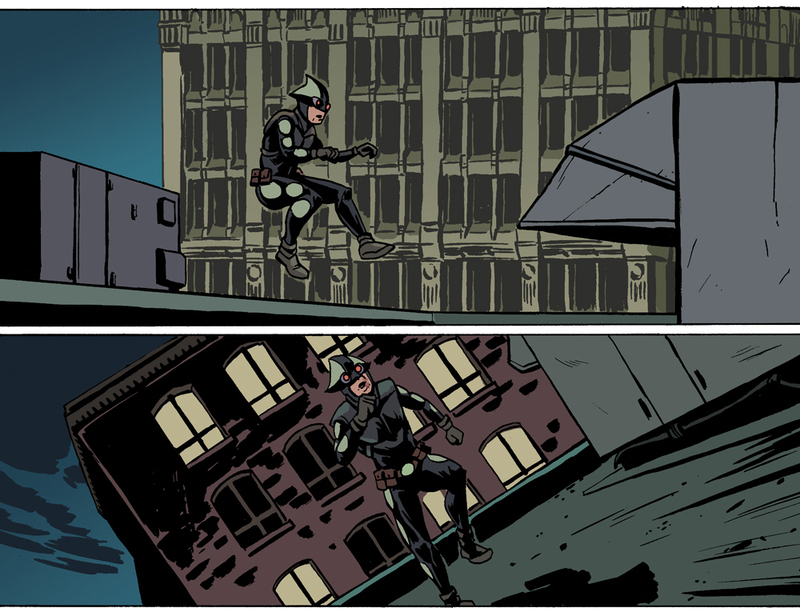 I absolutely love the Toronto setting. This story features a hot dog vendor, a streetcar and an epic superhero battle in one of my favourite Toronto landmarks — the Royal Ontario Museum! A ROM security guard makes a cameo in a hilarious bit that will make other museum or art gallery workers recognize a bit of themselves in him. Loo’s self-deprecating humour is what makes this story so fantastic, and punchlines and sight gags are littered throughout. 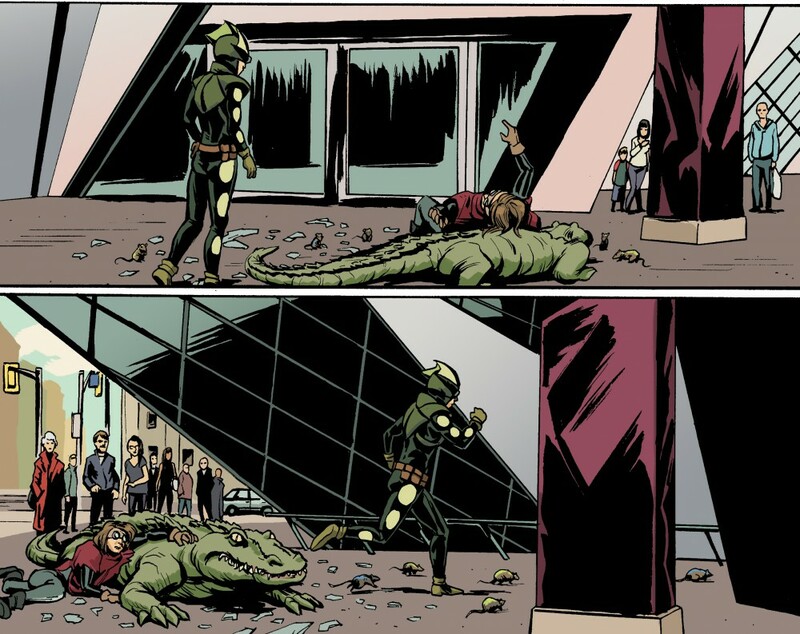 Particularly effective are Lucas Barrett’s interactions with his parents, and the scenes where the Human Lizard joins forces with the (much more traditional superhero type) Mother Wonder. 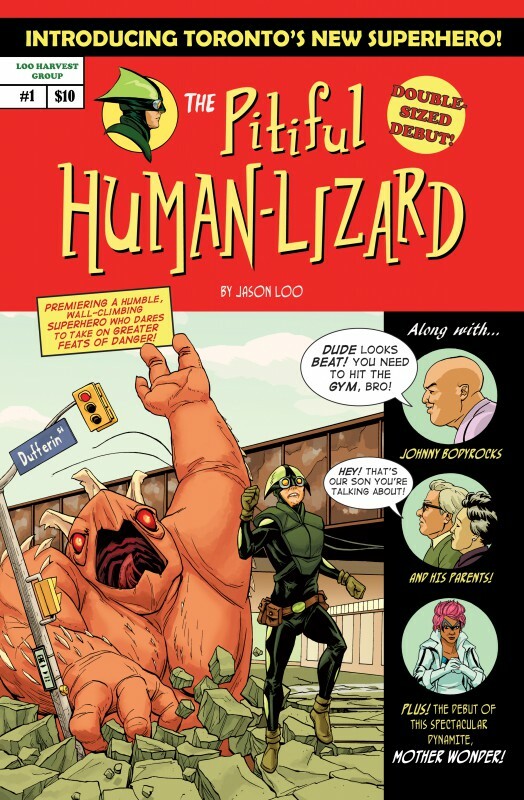 The Pitiful Human-Lizard is available at various locations in Toronto: Silver Snail, The Beguiling, The Comic Pile, and Dr. Comics. You may also purchase it online and check out the Pitiful Human-Lizard Facebook page for a schedule of upcoming events and signings! This entry was posted in Book Reviews and tagged 50BookPledge2014, comic book, Fiction, Graphic Novel, superhero, Toronto by Jaclyn. Bookmark the permalink. Ooh, I had never heard of this before reading your review but I am definitely intrigued! I am in the Toronto area as well and actually go to Silver Snail quite a bit so I’ll have to keep an eye out for this. I love that it has a Toronto setting – it’s always so cool to see your city play a part in fiction (especially when it’s illustrated)!